Imaginarium Arts are bringing out some amazing products in recent years. What put them on my radar was their life-sized Ironman busts, they recently received a lot of social media time for the huge Aquaman on throne (96cm to the top of the trident). So when you think that scale and size wise they could not top this they have just released a preview for a 120cm Milano ship!! Ship made famous by the success of the Guardians of the Galaxy movie. I think that it is great to have a company not only making great designs for popular characters, but also thinking outside the box and putting the effort into project like this. The Milano is a customized M-ship used by Peter Quill and the Guardians of the Galaxy. The vessel known as the Milano was one of the spacecrafts used by the Ravagers. These ships were used for scouting and hunting purposes.In 1988, moments after Meredith Quill’s death, her son Peter Quill ran out into a field where he was abducted by Ravagers. The Ravagers considered eating him, or returning him to his father who had paid them to abduct Quill, but did neither, deciding to adopt Quill as one of them.As Star-Lord, Quill used the Milano for looting and piracy, establishing his name as an intergalactic criminal. When Quill obtained the Orb, the Milano transported Quill to Xandar to sell it. 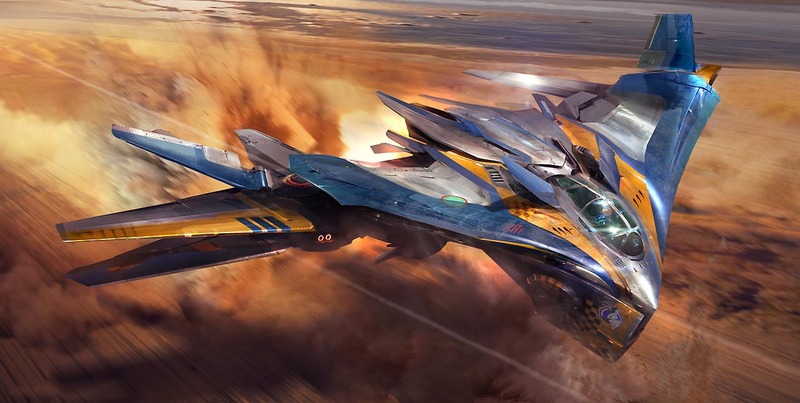 After his arrest, the Milano was impounded by the Nova Corps to the Kyln. The Guardians of the Galaxy later used it to escape.The Guardians used the ship to travel to Knowhere. When Drax the Destroyer called Ronan the Accuser to Knowhere, and Quill and Gamora were abducted by the Ravagers, Rocket, Groot, and Drax used the Milano in an attempt to free their partners.Star-LordandDeylookattheMilanoDey shows Quill the newly rebuilt Milano. In the Battle of Xandar, Quill, Gamora, Groot, and Drax used the Milano to enter Ronan’s ship, the Dark Aster. In the process the ship was severely damaged. Afterwards, the Nova Corps rebuilt the Milano for Quill as repayment for saving Xandar. The Milano is named after Peter Quill’s childhood crush Alyssa Milano.